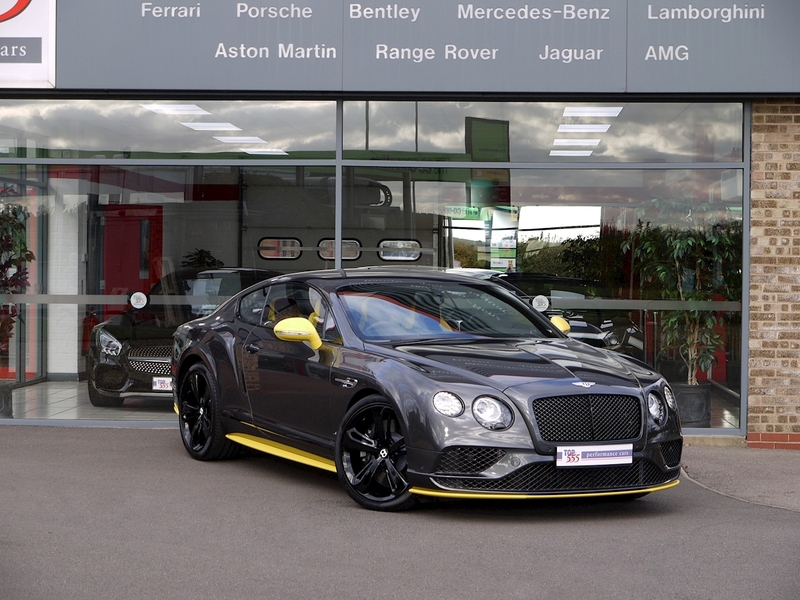 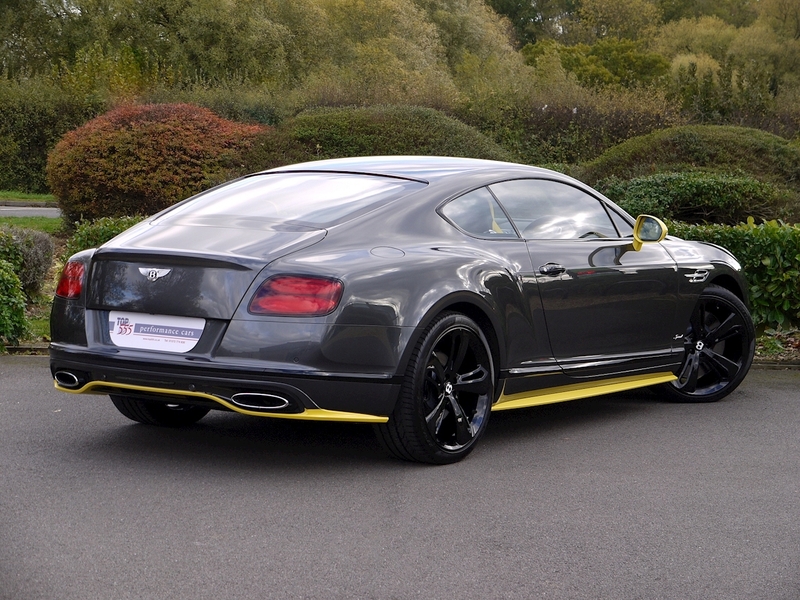 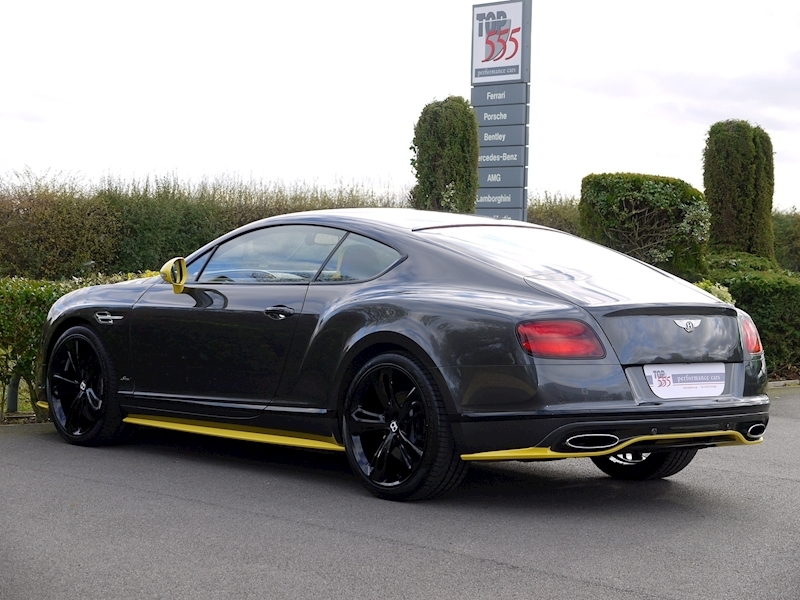 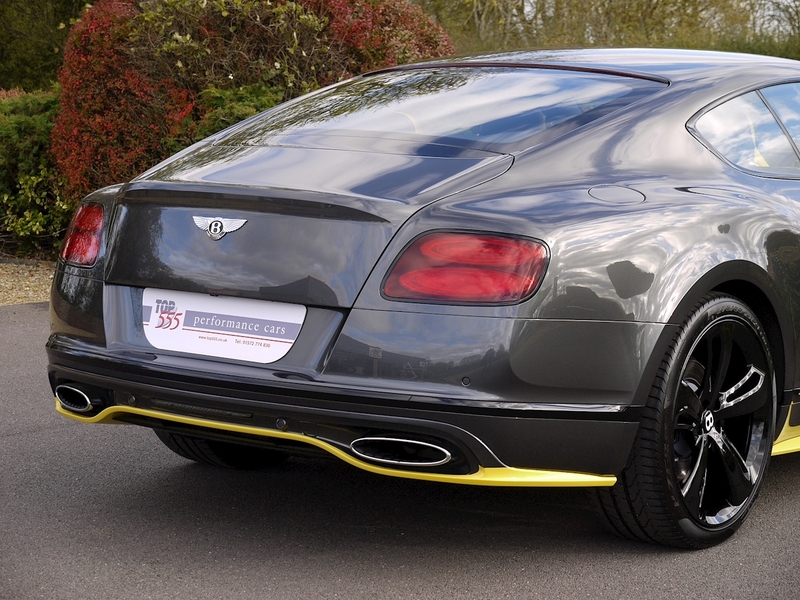 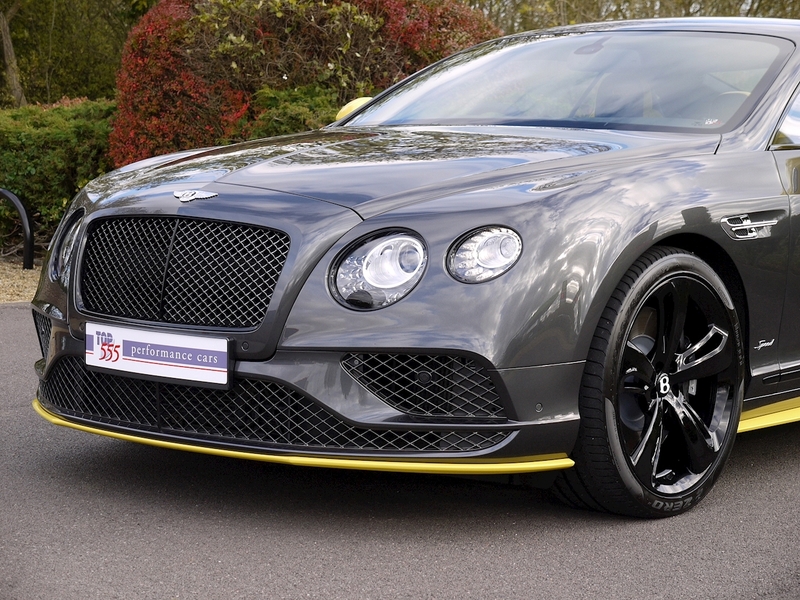 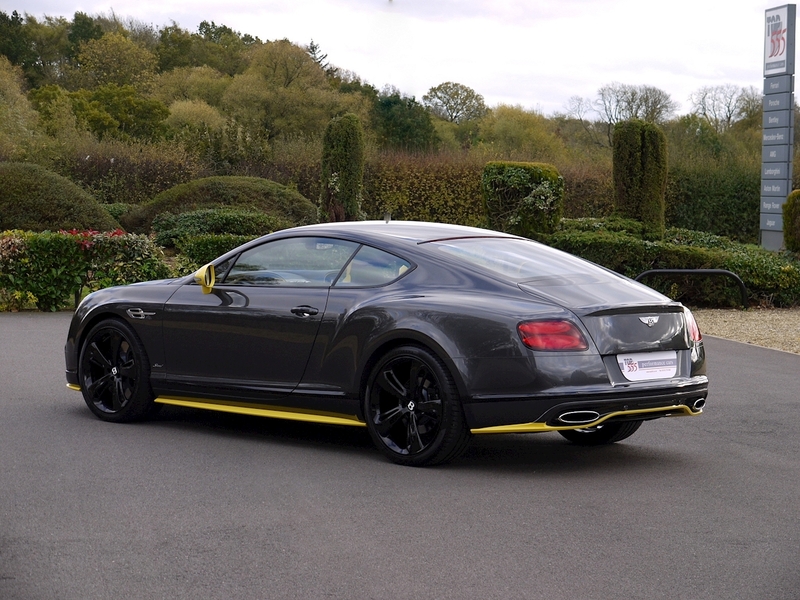 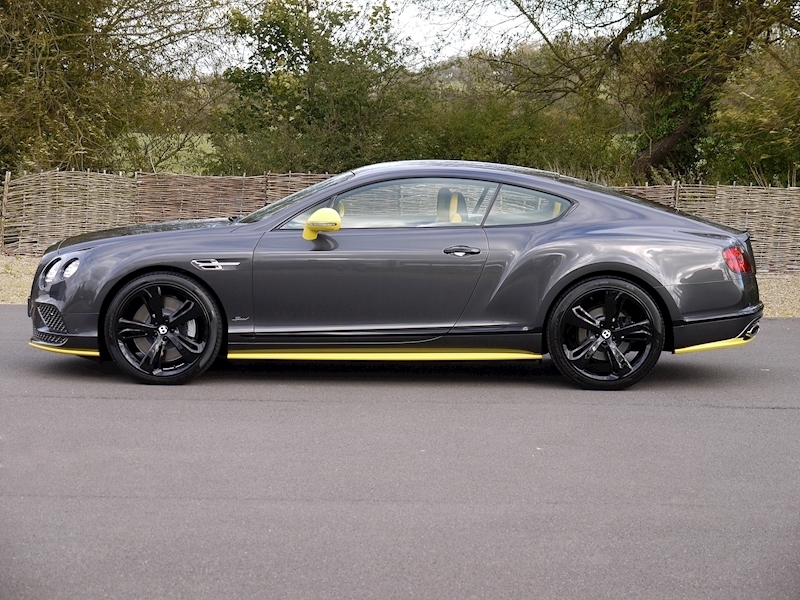 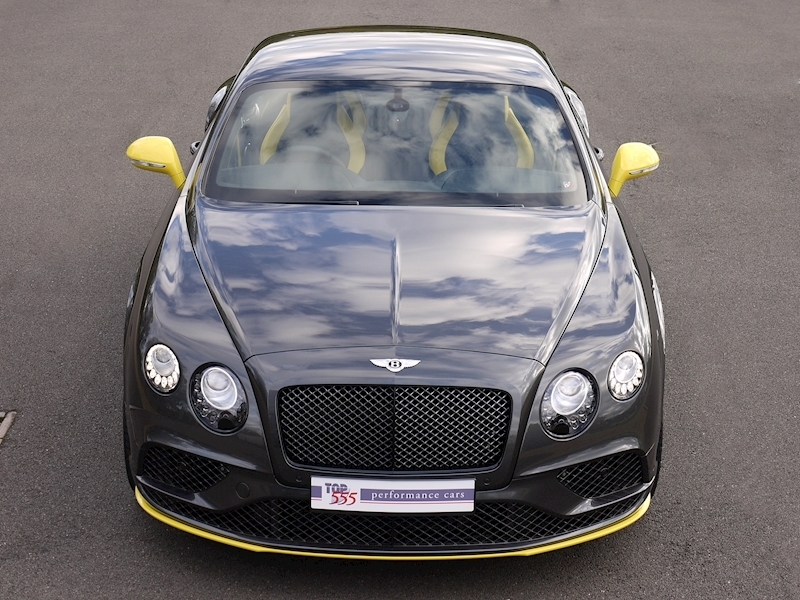 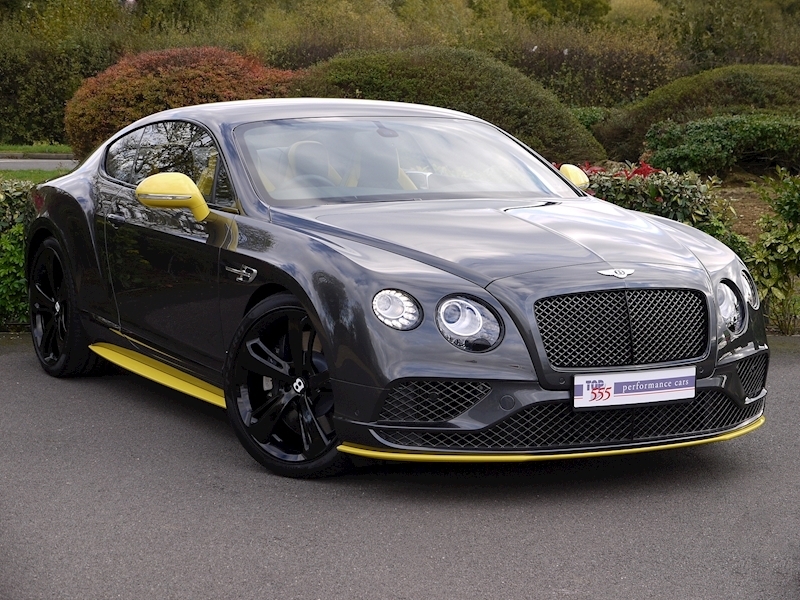 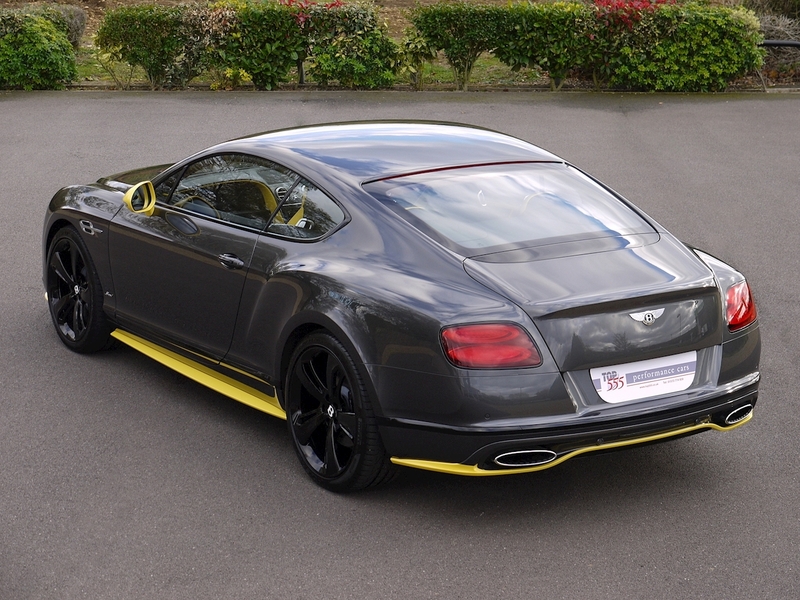 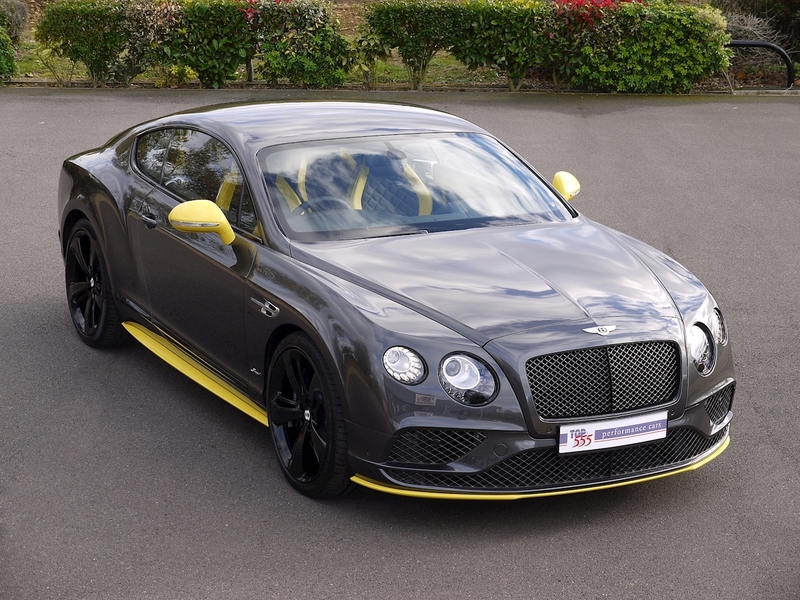 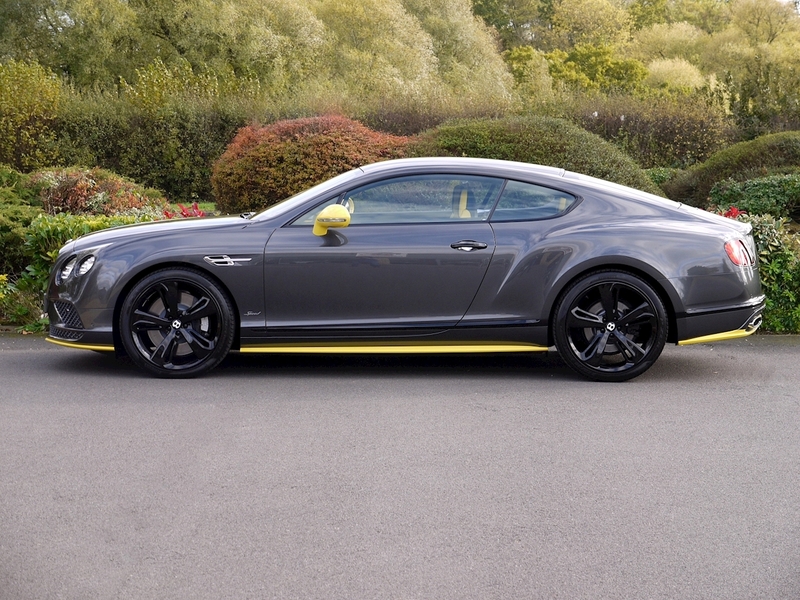 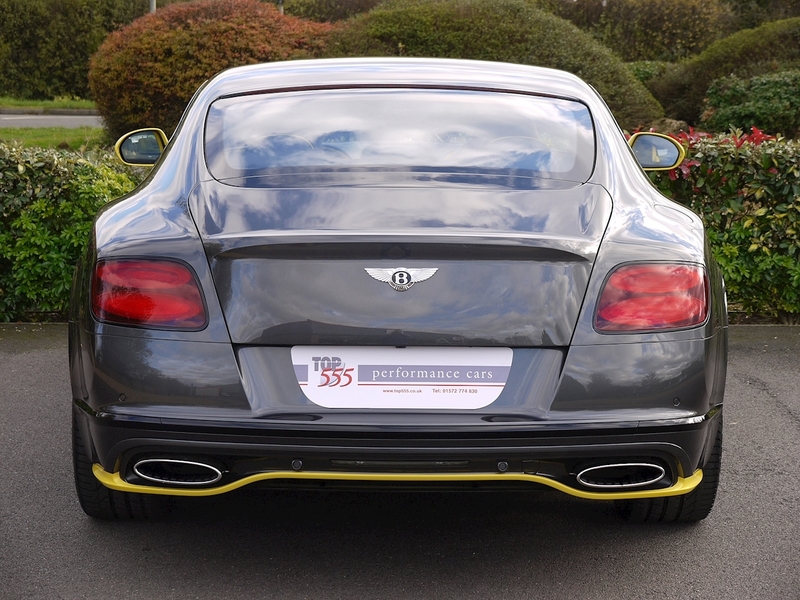 BENTLEY CONTINENTAL GT SPEED - BLACK EDITION celebrates the rich and striking depth of the GT’s sporting character. The chosen body colour is complimented by a high gloss black finish to the exterior brightware, including the window openings and lamp bezels. 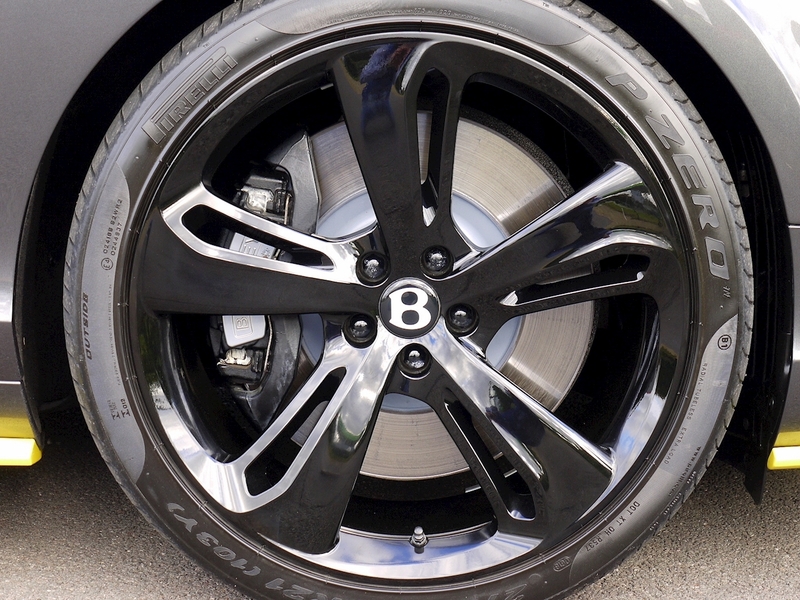 All-black 21” five-spoke directional wheels cover distinctive brake calipers in black. 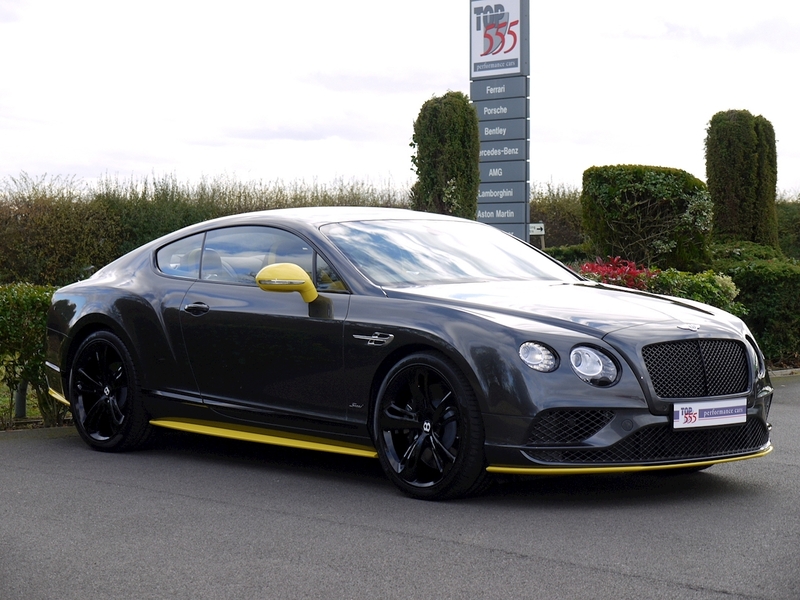 To add a further unique and striking twist, the Black Edition also features contrast colours to the front splitter, side skirts and rear diffuser in Cyber Yellow, you can also colour match the door mirrors as a final exterior accent. 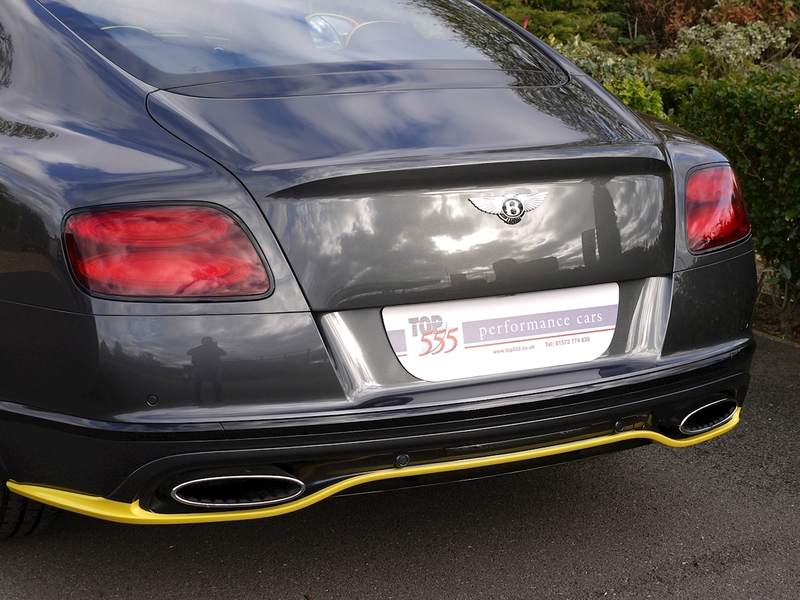 Inside, the mix of dark tones and vivid highlights continues. 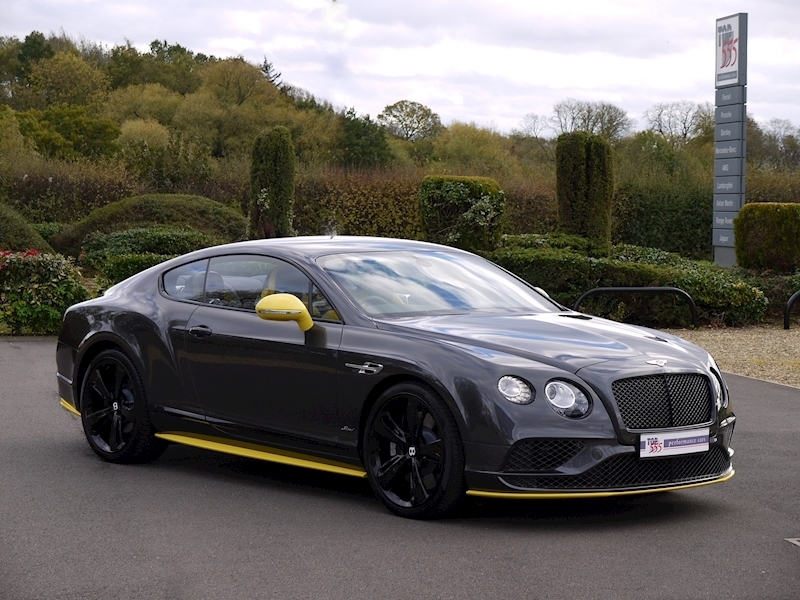 Carbon fibre adorns the fascia, centre and roof consoles to create a dark opulent ambiance while a dedicated Black Edition colour split sees the seats and centre console bordered by contrasting Cyber Yellow leather, to match the exterior styling accents. 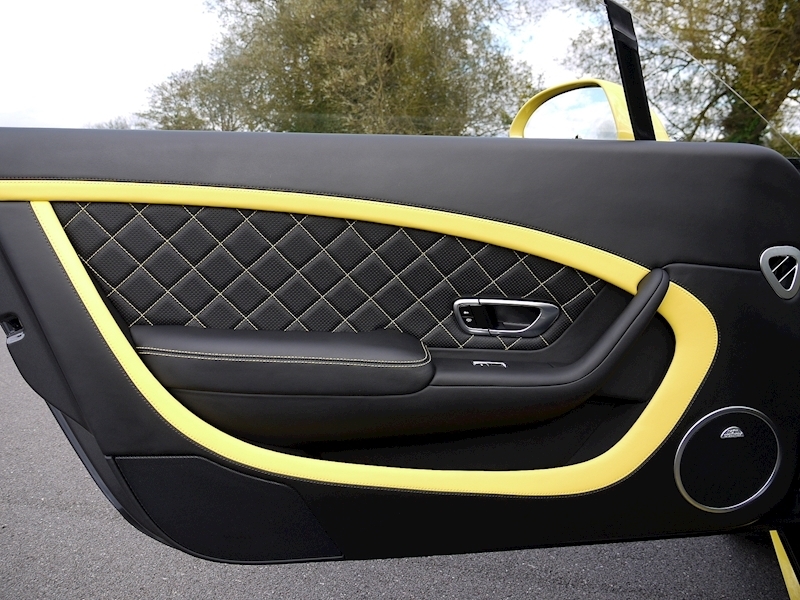 Corresponding contrast stitching accentuates the diamond quilting of the doors and Mulliner GT Design seats. 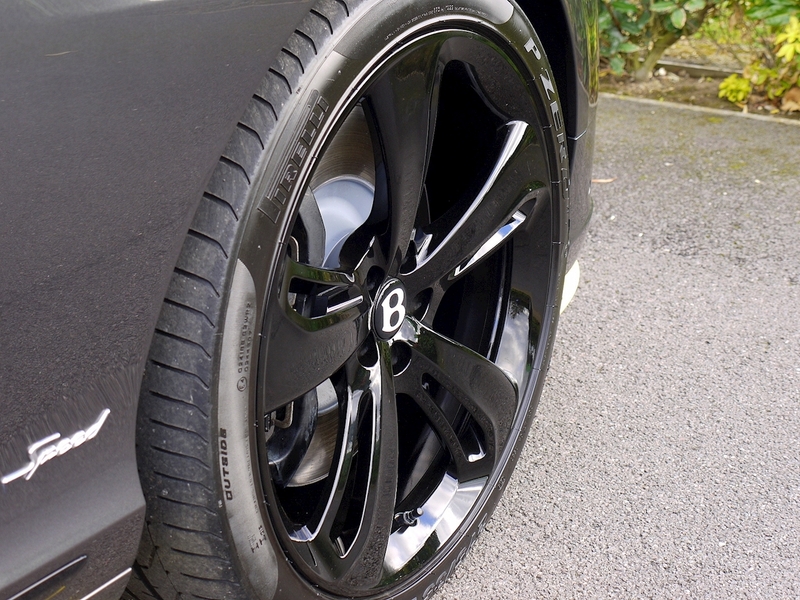 21" Sports Directional Alloy Wheels in Gloss Black. 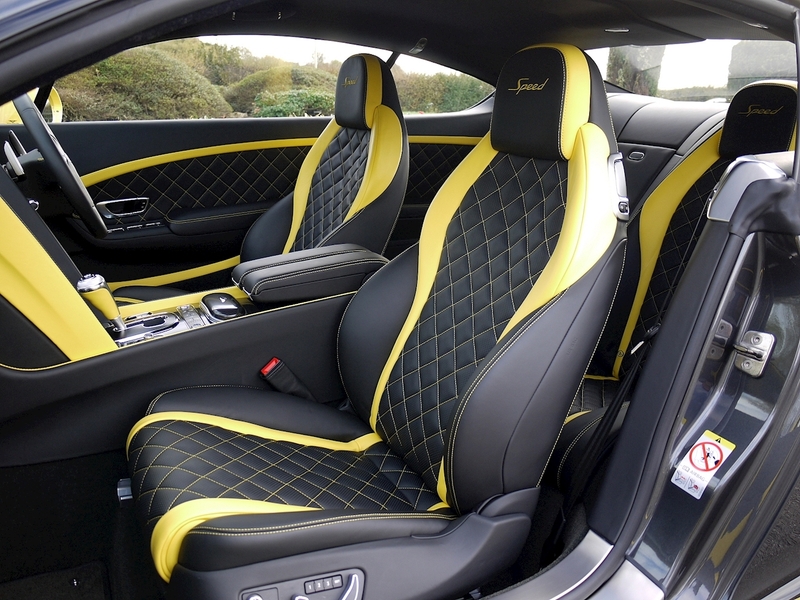 GT Design Seats by Mulliner. 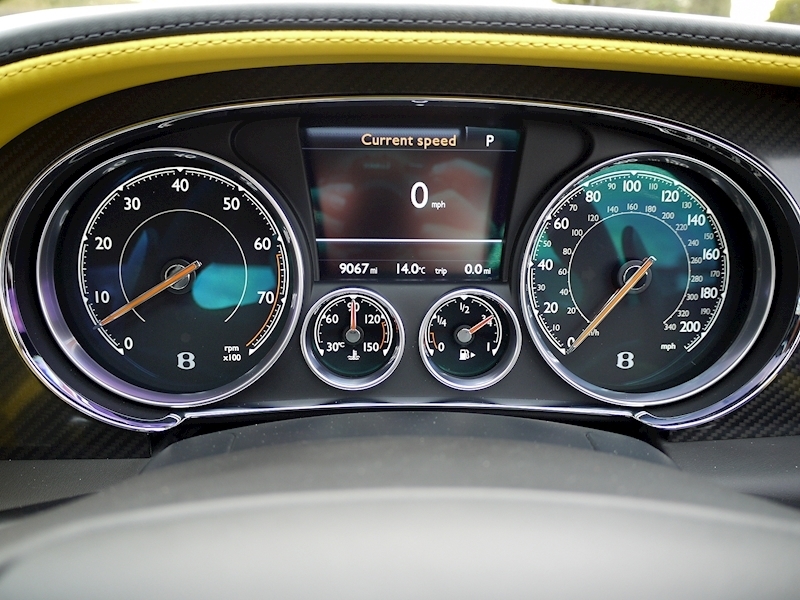 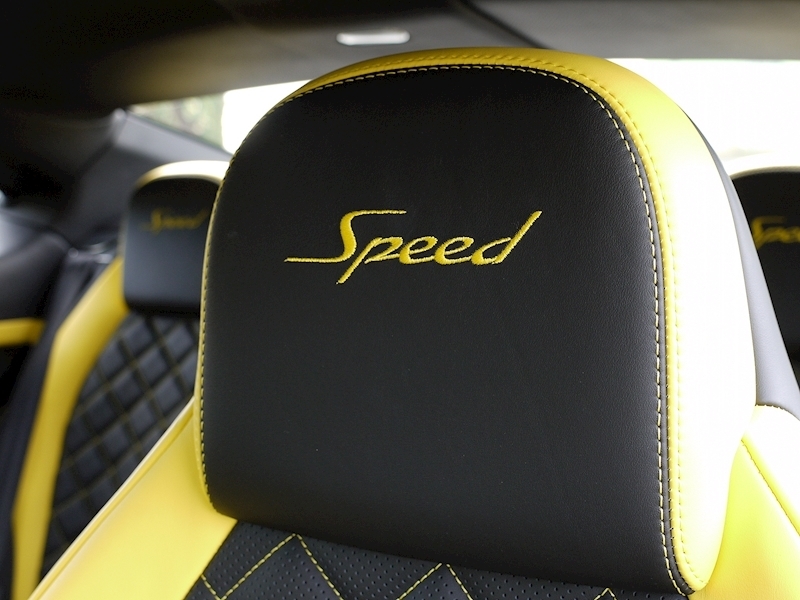 Embroidered Speed Emblems in Contrasting Colour - Cyber Yellow. 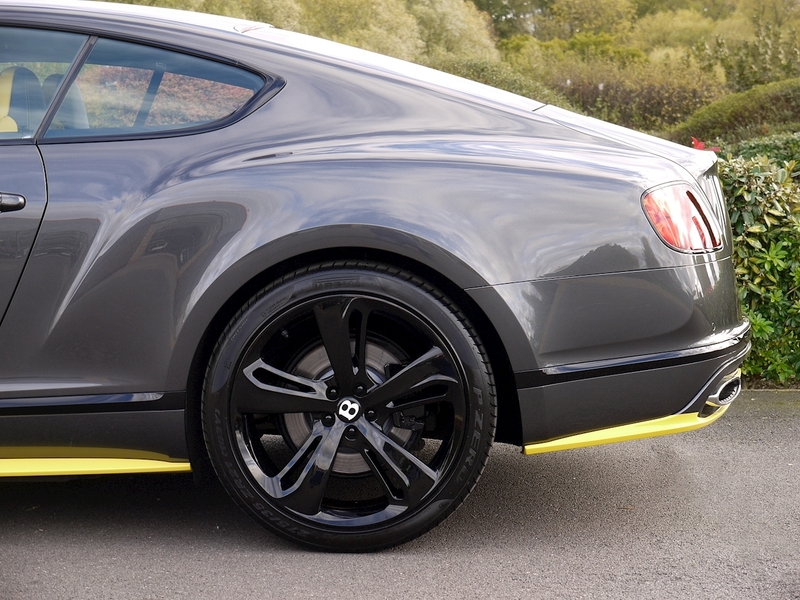 Exterior Mirrors in Cyber Yellow. 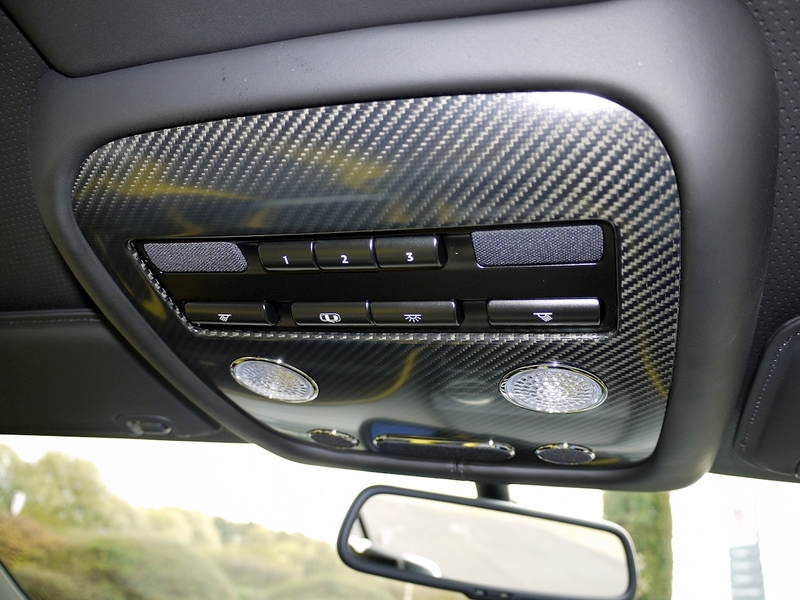 Carbon Fibre Fascia Panels. 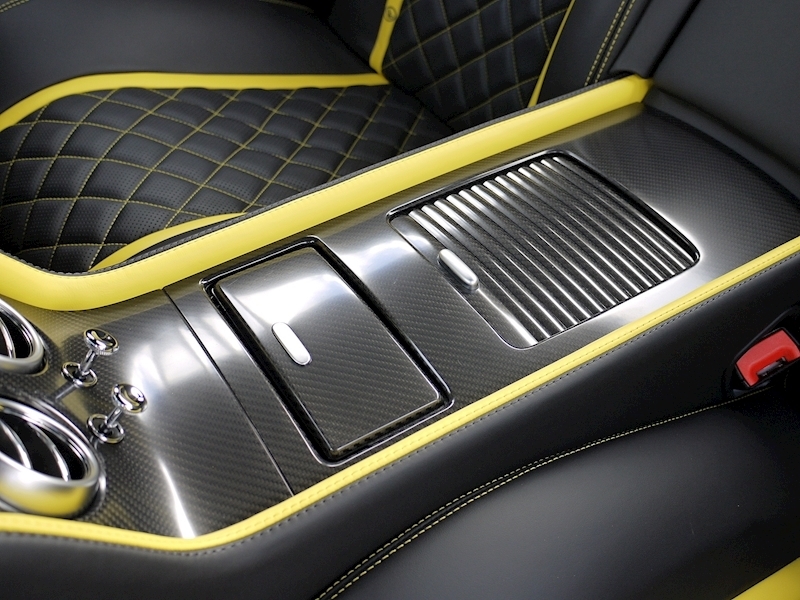 Carbon Fibre Centre Console. Carbon Fibre Roof Console. 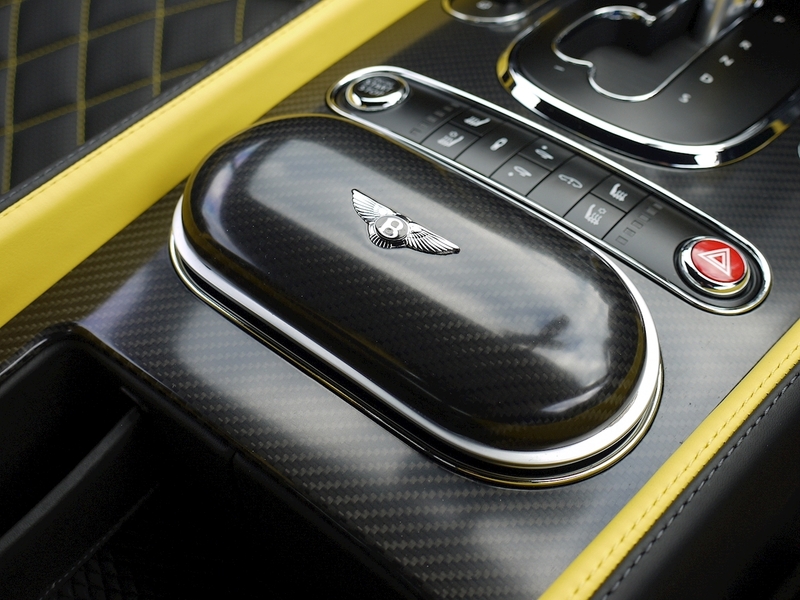 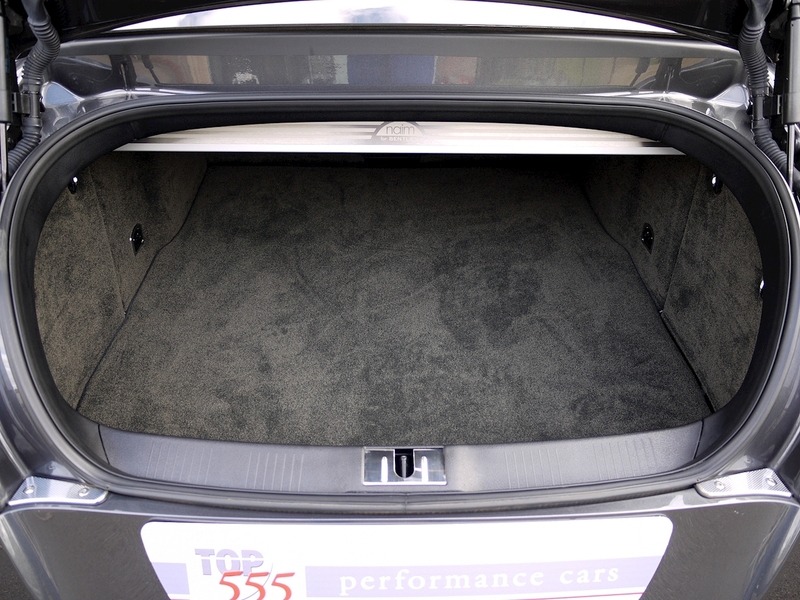 Carbon Fibre Storage Case to Centre Console. 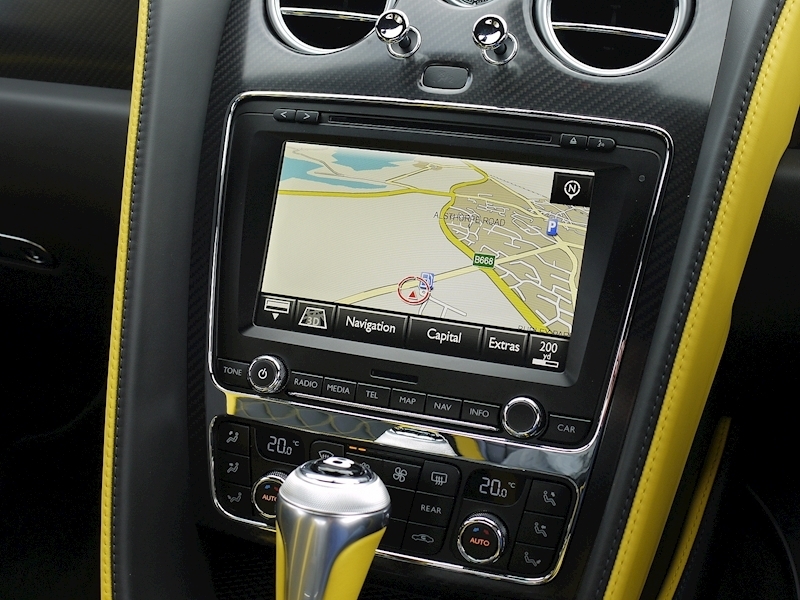 Wi-Fi Hotspot – 4G Enabled. 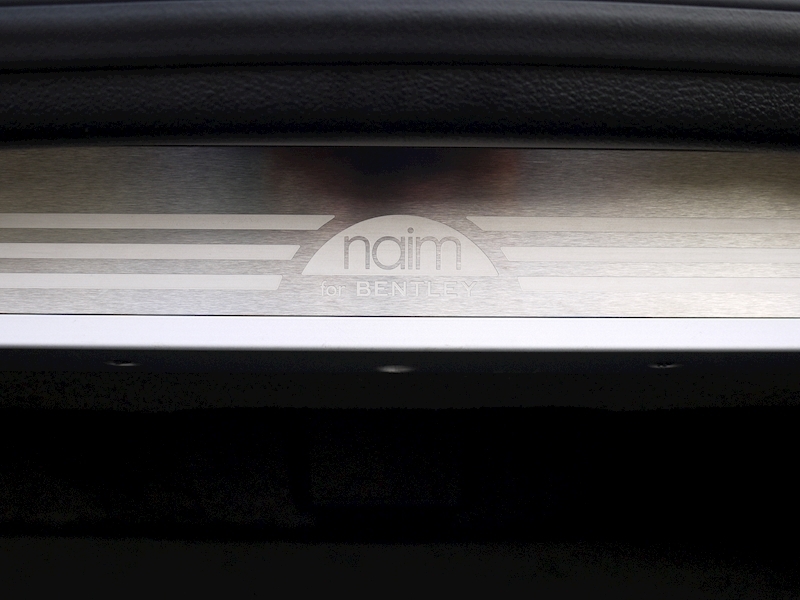 First Aid Kit and Warning Triangle. 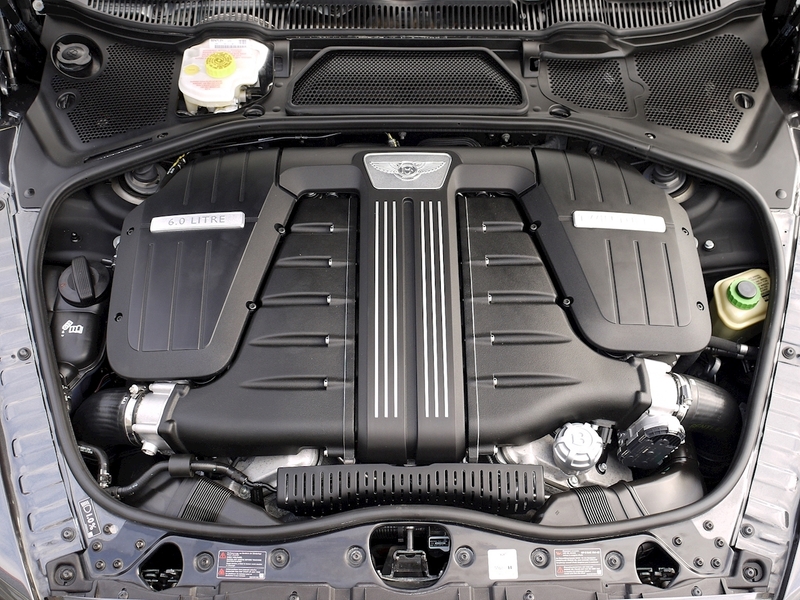 Remote Controlled Garage Door Opener – Euro Link System. Space Saving Spare Wheel. Extended Range Paint Colour - Anthracite Metallic. 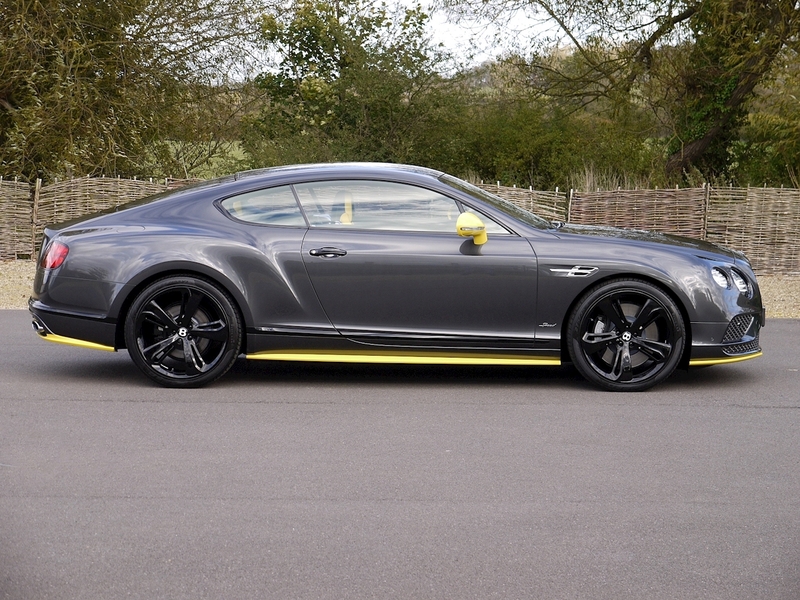 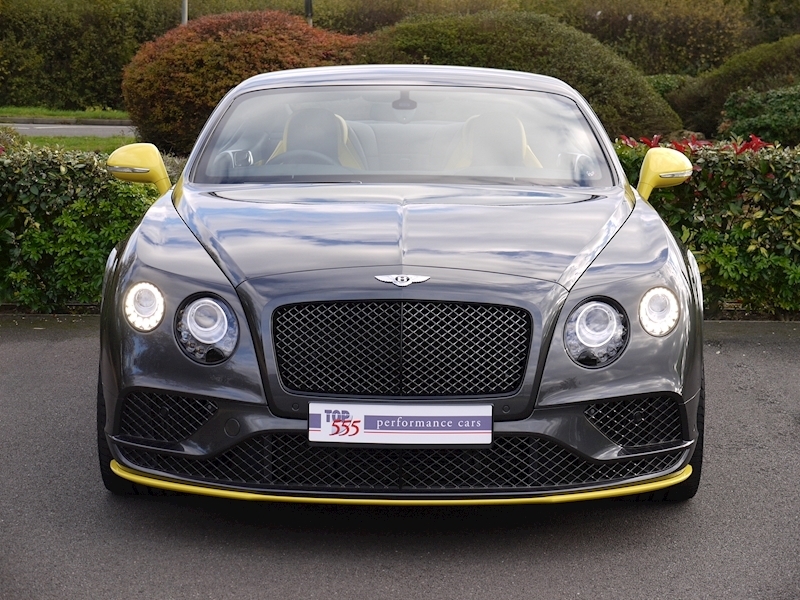 A Unique and Striking Bentley Continental GT Speed!